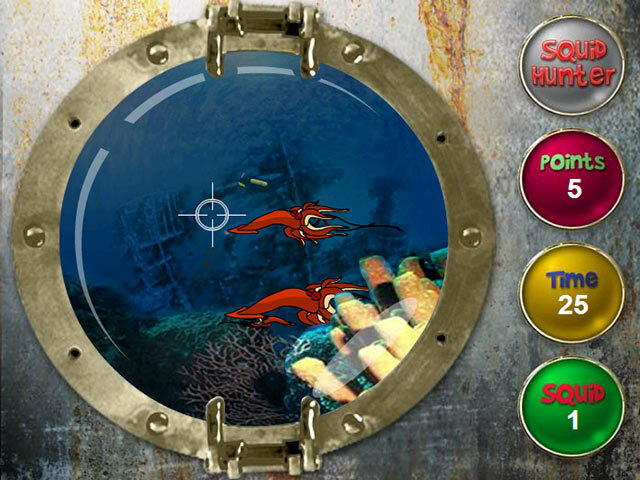 Hoist your harpoon in Squid Hunter, an online shooter. 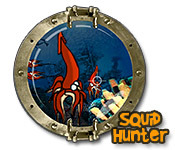 Aim with your mouse and click to fire at these infamously tricky mollusks.Venture underwater in search of squid.Hoist your harpoon in Squid Hunter, an online shooter. Aim with your mouse and click to fire at these infamously tricky mollusks. Hit as many squid as you can before time runs out. Shoot smaller, faster squid for more points. Avoid fellow divers and steer clear of underwater mines – they will damage your bathysphere. Emerge with the most squid under your diving belt and you win Squid Hunter!